My wonderful coworker informed me that tomorrow is Australia Day! While I (unfortunately) have never been to Australia, I have many friends who have visited and fell in love with it down there, which makes me an Aussie fan by default. Because of their trips I have also heard countless stories and seen enough sky diving videos and kangaroo photos to feel like I’ve been there myself. In honor of Australia day I’m featuring a Jacob’s Creek cocktail, the Lovely Lychee. 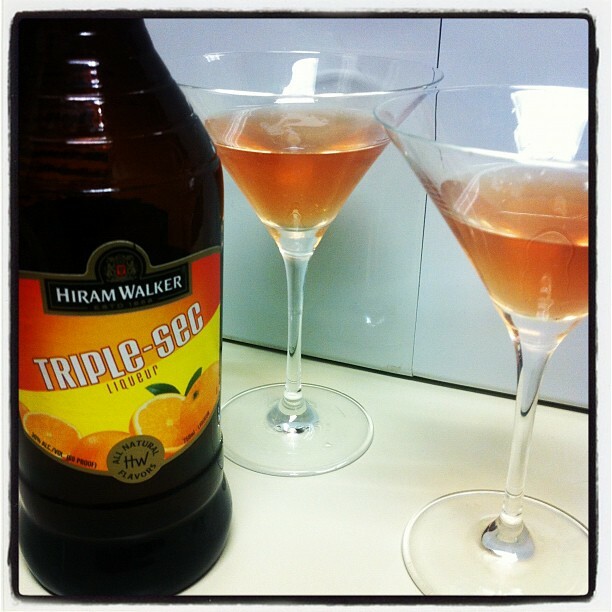 A round of Peach Cran Cosmos, featuring a collection of ABSOLUT and Hiram Walker products. Happy Friday and Happy June, Cocktail Culture readers! Even having been a shortened week, I’m still itching for the weekend and the chance to mix up my next cocktail. Here’s what’s on the drink menu: Happy Hour and cocktail inspiration struck yesterday afternoon and I developed this Peach Cran Cosmopolitan that I’m anxious to share with you. Shake all ingredients with ice and strain into a chilled cocktail glass. It’s a very simple twist on the traditional Cosmopolitan recipe (1.5 parts Citrus Vodka, 3/4 part Triple Sec, 1/4 part lime, 1 part cranberry) and I think I could perhaps even modify this recipe to make it a bit simpler. I’d be open to trying this without the Triple Sec and adding in an extra 1/4 or 1/2 part of vodka to give the drink a little more zing. However, my coworkers and I did enjoy the balance of sweet and tart that this ratio offered. What are you itching to sip on this weekend? As always, I’d love to hear your feedback in the comments below. The Cinnamon Sidecar Strikes Again! 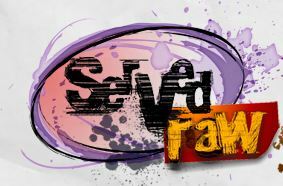 Are you familiar with the website Served Raw? If not, well, what are you still doing here? Go give them a read! Wait, actually, don’t go yet! Let me tell you some more about them first. San Fran-based Served Raw is all about sharing what’s new, crafty, and distinctive in the food and cocktail scenes, whether it be interviewing the “Genius” minds behind the stick or offering suggestions for inventive food and party tips. The Cinnamon-forward “Cidecar” recipe I wrote about last week, featuring Hiram Walker Original Cinn, is back in action again today; yet this time, I’m thrilled to say that Served Raw’s “Raw Bar” has the full scope of this new recipe’s ingenuity. Man, I’m a sucker for an egg white cocktail. 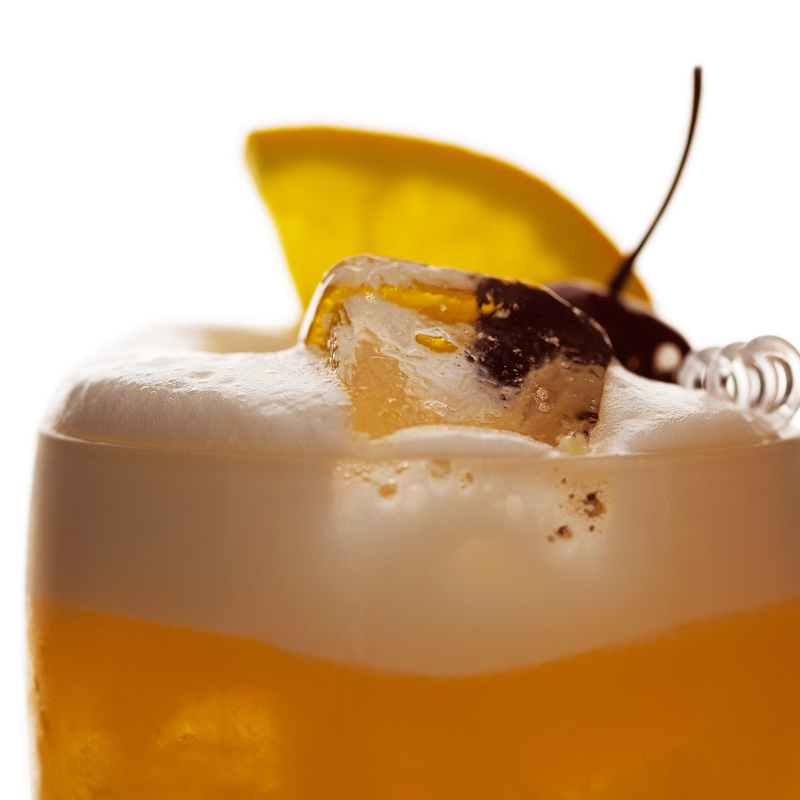 Last week I shared the Sea Fizz cocktail, and now I’ve got another foam-topped summer treat to share. Bonus—the ingredients should all be relatively easy to get your hands on. Just make sure to shake the daylights out of this one with plenty of ice (so the egg white doesn’t deflate in your drink). It’s a keeper, for sure! 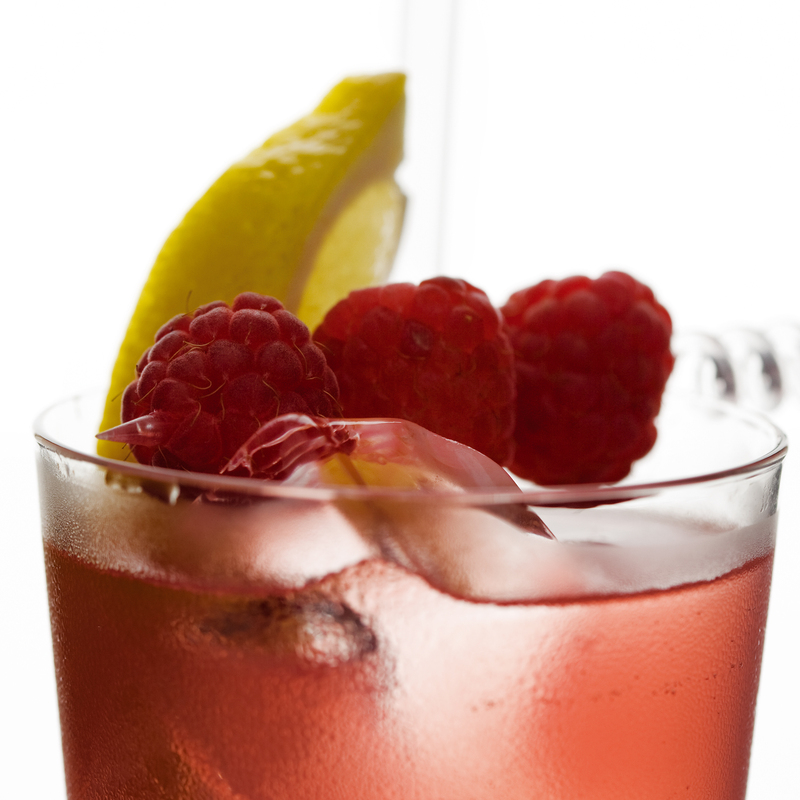 Shake all ingredients vigorously with ice and strain into a chilled glass. Garnish with an orange wedge and cherry. Let me let you in on a little secret—I’m no Martha Stewart. Spring is in full bloom now and I’ve really been trying to get a garden going, but I’m finding I most definitely DO NOT have a green thumb. 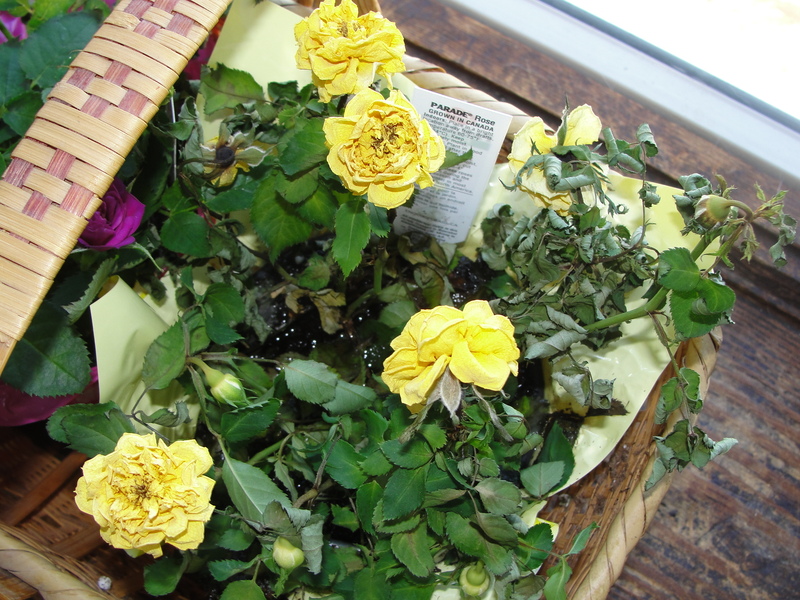 Observe this photo—miniature yellow roses, my favorite! They were a house-warming gift from my grandmother and I assure you they looked gorgeous when she brought them over. But less than two weeks later they are withering away, poor things. I give them water. I give them sun. I’ve given up. Better stick to something I know—Spring Drinks. I thought this one was particularly appropriate and so easy you can’t possibly screw it up (trust me)! Refreshing, lively, and green—it’s the exact opposite of my garden. Enjoy! Add ingredients in a stemmed glass, give a quick stir, and garnish with a cucumber wheel. I also rimmed my glass with a little rock salt but that’s just my taste! There’s something about Absinthe that just fits with Halloween. It’s mysterious, it’s romantic, it seems dangerous. Of course, if you drink the stuff properly (traditional ritual or quality cocktails) there’s nothing scary about it. But it’s still fun to play it up for the holiday. 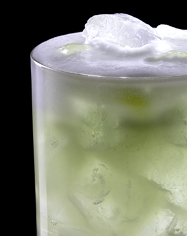 Here are a few Halloween-appropriate cocktail recipes from Pernod Absinthe. Enjoy! Combine in iced tumbler. Stir well; strain into chilled cocktail glass; garnish. Add Pernod Absinthe into a chilled champagne flute. Add iced champagne until absinthe attains proper opaqueness. Add ingredients to champagne glass.